The silk snapper is similar, but has a yellow tail. Other species include the pink snapper, or mutton snapper, which is usually olive green with vertical bars. The yellowtail snapper and the African snapper and the Indo-Pacific all have domed heads with large mouths and big eyes set high on the head. Most snappers weigh between 3 ¼ and 5 ½ pounds. 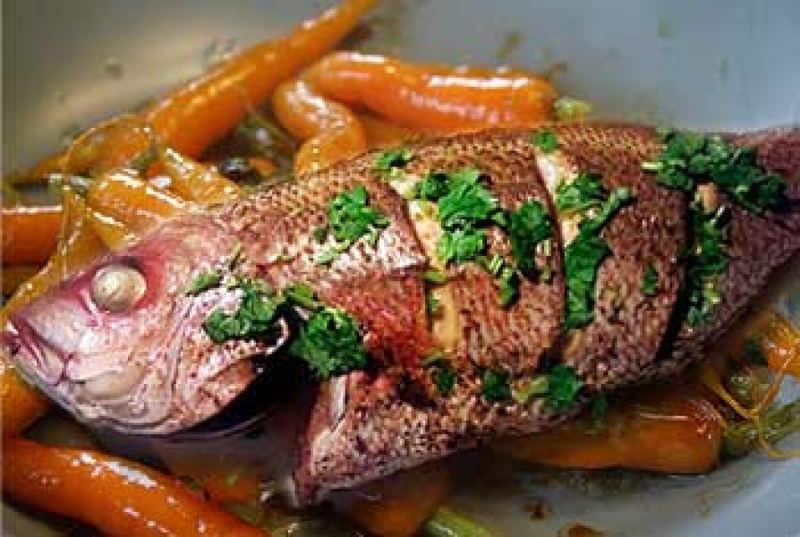 Red snapper come from deep waters around Florida and Central South America. Other varieties are found in warm waters from the Atlantic to the Caribbean and Indo-Pacific. Season fillets with salt and pepper: coat on both sides with flour. Heat oil over medium heat and cook fillets on both sides ( about 4 minutes each side). Remove fish to a platter and keep warm. Add the almonds to the skillet and cook on low until golden. Raise heat to medium, add the white wine and cook 1 minute. 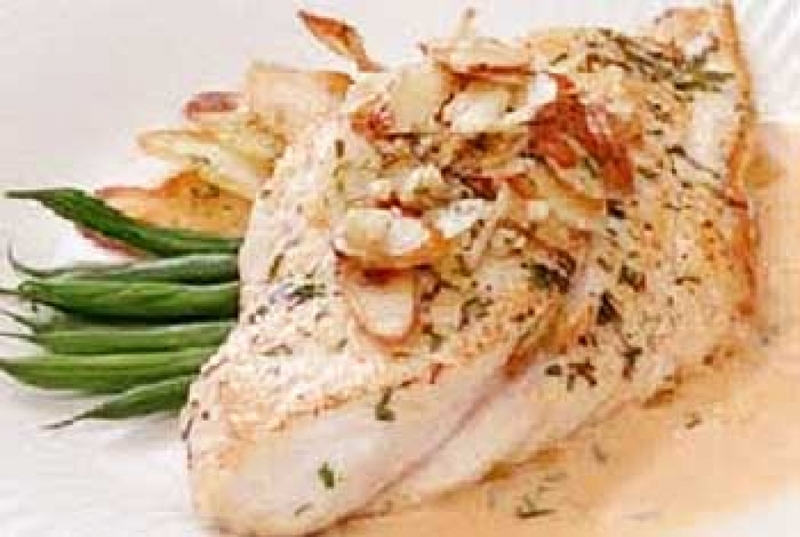 Pour wine with almonds over fish and sprinkle with parsley. Serves 4.